Leadership in the Bible, at least business leadership, often involved creating an intense culture within the business. We can see evidence of this in the story of the businessperson, Lydia, from the book of Acts. Let’s stop a minute and think about what that says about the relationship between the head of the household (the CEO in our times) and the folks who worked in the business? Business leadership in the Bible was about, among other things, creating such a culture. As leaders in the business community, we have a responsibility to be mindful of the well-being of our employees and stakeholders. “Love one another” begins with loving family and those employees, consultants and contractors to such an extent that they would gladly follow your lead on important decisions. What would your business be like if you could build such a culture into your organization? Your people would feel included and valued. They would grow to respect you and love you back. Productivity would sky-rocket, conflict within the business would ebb, and harmony would take over. Individuals would feel like there was freedom to take risks and grow. Folks would be dedicated to the mission and vision of your business. Your customers and vendors would pick up on the vibe and respond positively. A Christian business culture, characterized by love and manifesting itself in an exceptional degree of respect for you, would be one of your greatest tools to enlarge your business and multiply its impact. But, instilling a culture like this doesn’t happen by itself or overnight. Some thoughts about how to do it. You are the leader. The responsibility to create the culture is yours. That means that you must think about it relentlessly and then decide, willfully and intentionally to act in such a way that builds the culture toward the idea. It is not going to happen by accident. Whatever it takes for you to give it daily thought and daily activity, elevate it to that level. Building a culture is a discipline. Like winning a marathon takes dedication, discipline and consistent effort, so, too does creating a Christian business culture. 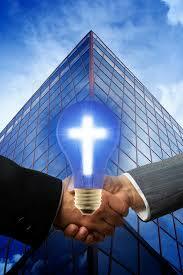 Excellence in a Christian business culture is worth the effort. First comes loving God, then comes loving others. You’ll need to work on a loving relationship with God yourself, before your can extend that outward to your employees. As your relationship with God grows, so too will your ability to manifest that love to others. Culture is expressed in what people do. It is a way to characterize the general tone of the actions taken and the words expressed consistently within your business. Changing that will be a life-long challenge. You’ll never be completely ready. Start now. Take some positive step today. Creating a loving culture in your organization may be the single most impactful initiative you can undertake. The implications can reach into extended families and stretch across generations. Start now. Since you offer biblical training, I am a very cautious person and I always need to know what Dod your Worship, are you a christian, are you a methodist,United brethern and so on. I have been involved with the Lord all of my life I am 83 years old and love and serve my God. Thanks for writing, Jim. I am non of those things, just a simple Christian.